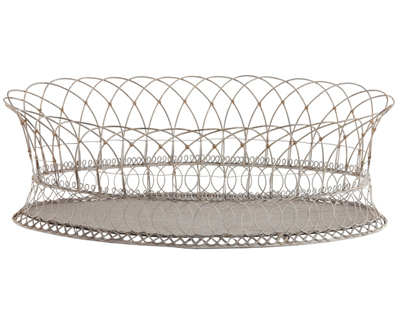 This precious antiqued, shabby white oval basket is our deal-of-the-week! We think it would look great filled with fresh Christmas greenery or a collection of candles. can be used in doors or out!